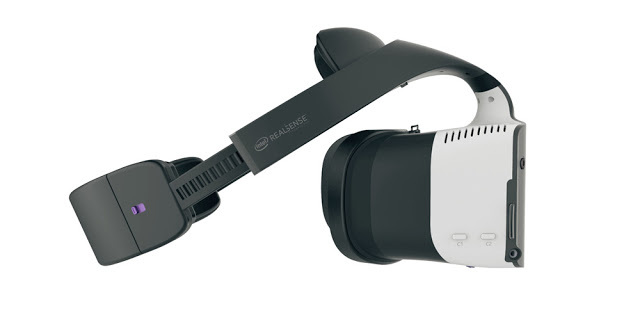 At the Intel Development Forum 2016, Intel announced its new Project Alloy, a VR headset that I believe represents the next step in the evolution of VR. A couple of weeks ago, Intel engineer Dmitri Diakopoulos tweeted an image of a modified HTC Vive headset that had a “unicorn” attachment to it. The tweet was later deleted but not before the press picked up on it. Today, Intel​ revealed what it was really about. Project Alloy is a VR headset that is totally wireless, has full positional tracking, and doesn’t require any external sensors. Moreover, it can track your hands and fingers, allowing you to interact with VR objects as you would with the real-world. Intel calls it “merged reality,” and it’s made possible by two sets of Intel’s RealSense depth-sensing cameras. You can see from the press release that the prototype Project Alloy headset has two sets of vertically-oriented realsense cameras, just like the headset tweeted by Mr. Diakopoulos. ​Based on my experience with the HTC Vive (reviewed here), I would agree this is indeed the next logical step for VR. You see, when you’re using the HTC Vive, you do have room-scale VR, which immerses you, but the one thing that keeps you tethered to reality (cough cough) is the cable. First of all, it limits how far you can walk around. Second, you have to step over the cable or unwind yourself from time to time. They are minor but persistent annoyances that detract from the immersion. Project Alloy solves that by using inside-out tracking. Its RealSense cameras can detect the contours of the environment, making positional tracking possible with no external sensors. Moreover, everyone who has tried both the Vive and the Rift will tell you that the Vive’s motion controllers are a significant part of the immersive experience. (That’s why the Oculus Touch is highly anticipated.) Project Alloy builds upon that by tracking not only your hands but your fingers as well. This makes it possible to interact with VR objects in a more natural way. For example, you could play a virtual piano using the same motions as you would in the real world. I speculate also that if the RealSense module becomes more commonly available, we’ll also see more depth-sensing cameras that can create 3D models / photos in realtime. 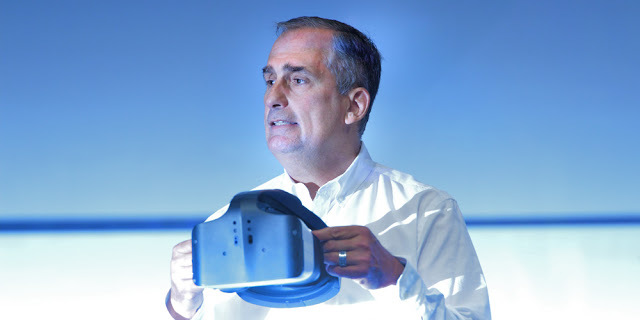 Intel will make Project Alloy open source in 2017, allowing any manufacturer to use the design to create their own merged reality headset. 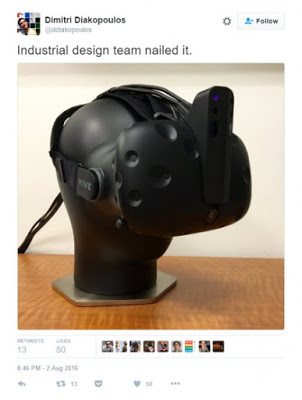 As for me, I’m looking at that tweet from Mr. Diakopoulos and hoping that Intel can make a simple retrofitted attachment for the HTC Vive headset to add capabilities similar to Project Alloy. Here is the official announcement of Project Alloy.